Here are some of our own recent moments of JOY worth sharing. 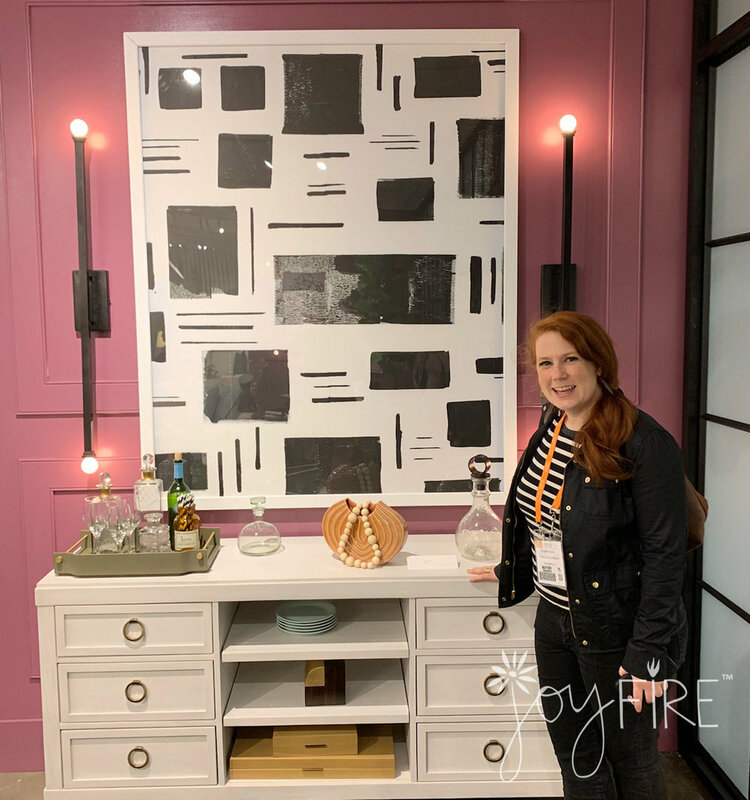 HGTV star and interior designer Tiffany Brooks asked Joyfire founder, Beth Glover to create a custom piece of art to complete her bold design vision for the reveal of the new Bassett Furniture HGTV showroom at High Point Market, the largest and internationally-renowned market for home decor. We love collaborating with interior designers and other creatives! Founder, Beth Glover shares about the early Joyfire days. We were excited to be featured in this news piece by Fox 8 in Winston-Salem, NC. The Center for Creative Economy, Winston-Salem, NC, has announced the 10 finalists that will participate in the world-class Creative Startups Southeast Accelerator program for creative entrepreneurs to develop business models, go-to-market strategies and identify funding. Participants complete an intensive 8-week educational program; and the top three startups split a pool of $50,000 in seed stage investment.